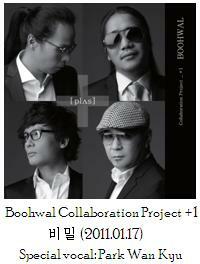 [Boohwal Collaboration Project +2] is a genius project. 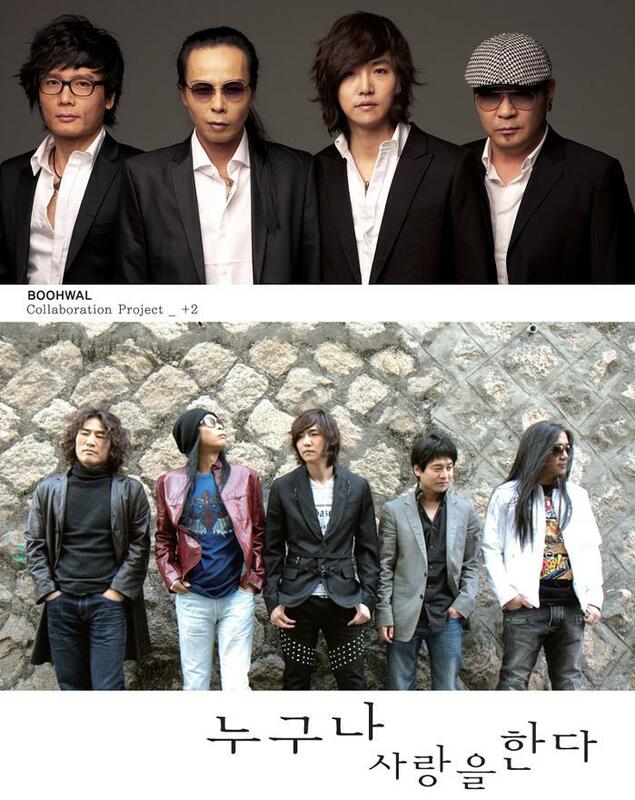 Boohwal Entertainment had hinted that they will have four vocals for this second collaboration project, but never crossed my mind that they would collaborate 4 Boohwal former and current vocals. 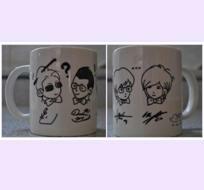 It’s simply genius!! 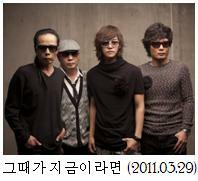 In this song, you can hear Jeong Dong-Ha’s unique and powerful color, Lee Seong-Wook’s soft yet powerful voice, Jeong Dan’s rock flavor, and of course Park Wan Gyu’s strong high tone. Again, the music video has been released now (look below), so please please please do not illegally download and share this song through sharing sites. 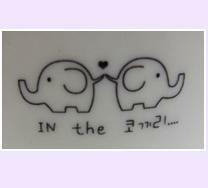 Please use legal downloading sites such as bugs, m-net, naver or soribada. Now, I would like to assume that you’re all familiar with the three invited vocalists whose voice are in this collaboration +2 project. 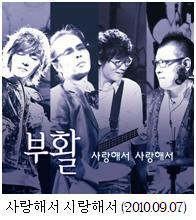 박완규 (Park Wan-Kyu) was Boohwal’s vocalist from 1996-1997, and he was the main spotlight in Boohwal’s 5th Album [Discovery of Fire]. 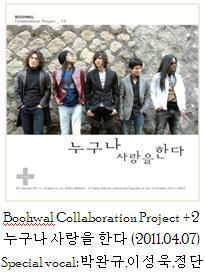 He was also the first partner for Boohwal Collaboration Project +1, singing “비밀” (Secret). 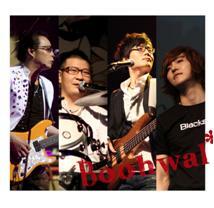 이성욱 (Lee Seong-Wook) was Boohwal’s vocalist in 2000, at the release of the7th album “Color”. 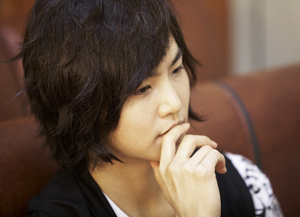 The 7th album was also the first album that Seo Jae-Hyuck took part in after joining Boohwal. 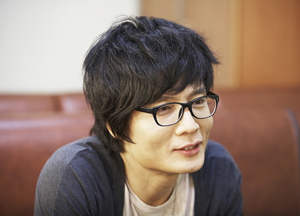 정단 (Jeong Dan) was the last vocalist of Boohwal before Jeong Dongha came along. 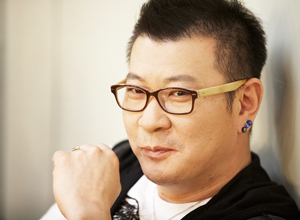 He was the vocalist in Boohwal’s 9th album [Over the Rainbow], as well as the OST of the movie “A Moment to Remember” (머리속에 지우게) which Kim Tae Won worked on the music for. 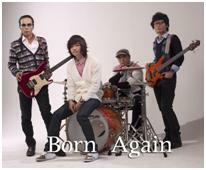 The music video started with flashes of “8.1.1” from Boohwal’s 3rd album which was a song dedicated to Kim Jegi (김재기)(the instrumental song starts with the spelling of his name), “Lonely Night” from Boohwal’s 5th album which was sung by Park Wan-Gyu, “얀녕” (Goodbye) from Boohwal’s 7th album sung by Lee Sung-Wook, and “아름다운 사실” (Beautiful Truth) from Boohwal’s 9th sung by Jeong Dan. I think the reason “8.1.1” was also inserted is symbolic, if Kim Jegi were still alive today, he would be part of this album too. “Argo” is a game about a natural resource called “어스듐” (Earthdium), which leads to the war between two tribes called “노블리언” (Noblian) and “플로레스라” (Floresslah). As a new futuristic game (MMORPG) “Argo” is having a pre-Opening Beta Test (Pre-OBT) from the 22nd of July until August 2nd. 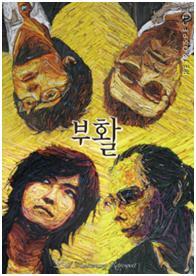 The soundtrack for Argo is sung by Jeong Dong-Ha, and among the OST, and the song “세상위로” (Above the World) that describes the story of this game is opened for public during the pre-OBT period. 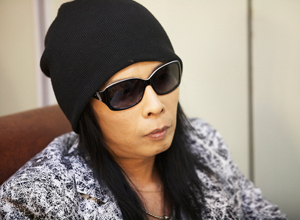 They also plan to release a mini album for Argo soundtrack. 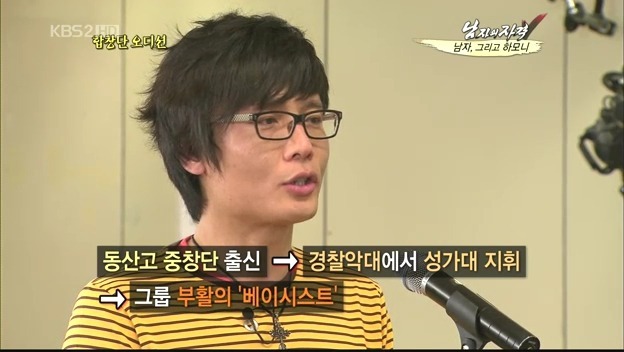 Ow, please note that the audition is for a choir, so it’s to see who’s voice match best with the 7 original members. 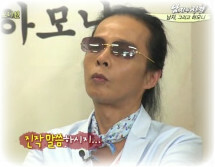 It’s not to see who sings best..
Well, since guitarist 김태원 is already in the 남자의 자격 team, he didn’t have to take the audition. Actually, there was some kind of test to group the members to soprano, alto, etc, but I missed recording it, and 김태원 didn’t sing a full song anyway. So, instead, to complete this post, I’m presenting you the recording from MNet The Pub final shooting (which I went to). Sorry the song is cut in the middle, there’s something wrong with my movie maker. 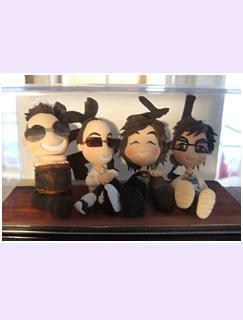 This is an old one. 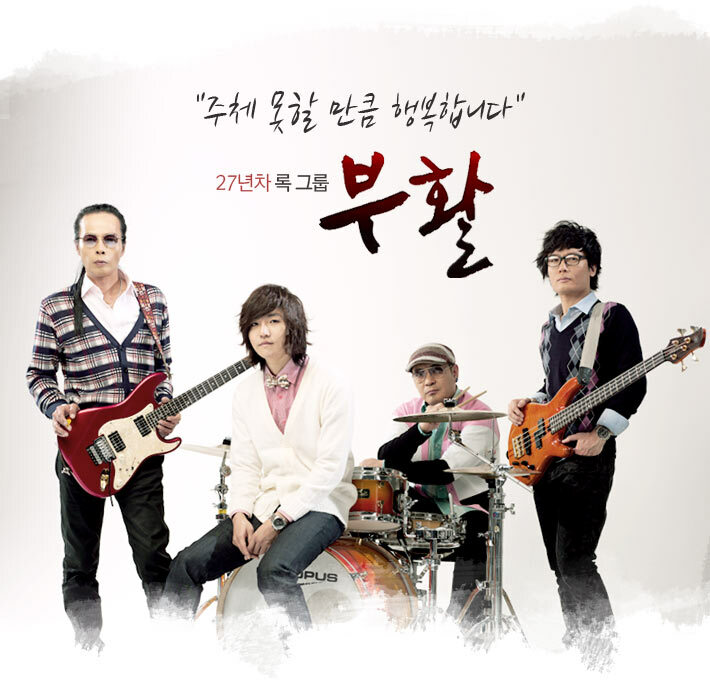 An OST song from MBC mini series “늑대” (Wolf), aired in 2006. 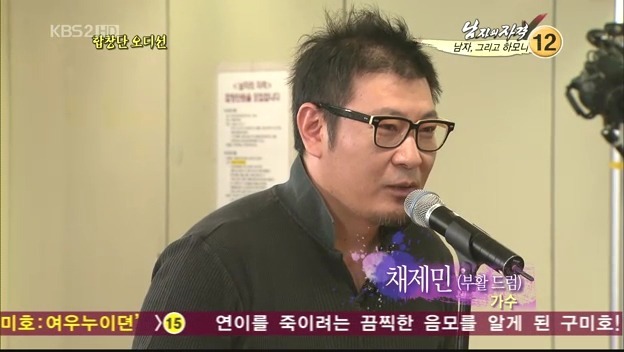 Jeong Dong-Ha sang the second entry in the OST, the song is titled “파라다이스” (Paradise). A good one. I think he sings just perfect here.